Brandenburg Piano is an audiophile-grade SampleTank Custom Shop instrument collection that puts you in control of the rich and warm traditional sound of one of the most iconic German-made pianos of all time. It includes over 1GB of content with more than 500 stereo samples that combine to create an unforgettable playing experience. 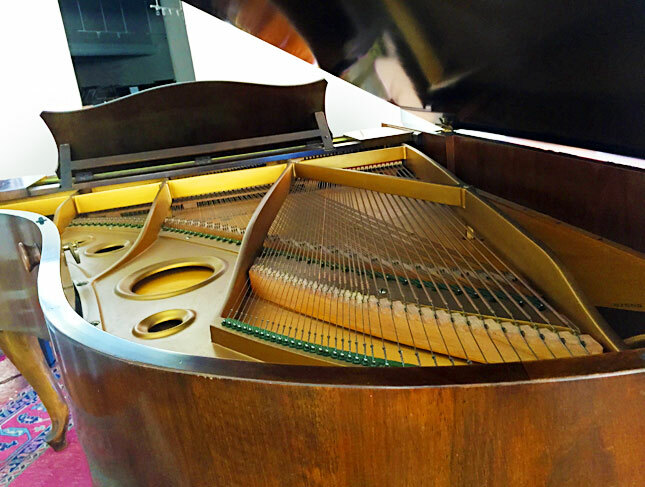 Brandenburg Piano recreates a particularly well-kept 1958 Bechstein 6’8” that our team of engineers found in San Francisco, California. Made of luxurious woods, it has a physical heft that can be perceived in its distinctly resonant tone that’s worthy of the monolithic cultural landmarks it draws its name from — Berlin’s Brandenburg Gate and Bach’s Brandenburg Concerto. To recreate this piano’s sound faithfully, our team spent weeks capturing each detail with a matched pair of Neumann TLM-170R condenser microphones running into top-quality studio preamps. Each note has been meticulously sampled with at least 6 distinct velocities for an incredibly realistic playing experience. All the beautiful nuances and subtleties have been retained. And, for playability’s sake, we also omitted a few notes where necessary to ensure smooth key transitions and a uniform tonality across the keyboard. Monumental is the word that will come to mind when you form your first chords with Brandenburg Piano. Its gloriously rich tone makes it a natural choice for when you want to perform and record emotionally deep classical and lush jazz or even add a moody warmth to pop or hip-hop tracks. The piano has a rare "musicality" to it where it now somehow embodies all of the great music played on it over the last half-century. It's rare to find a piano with such artistic mojo. 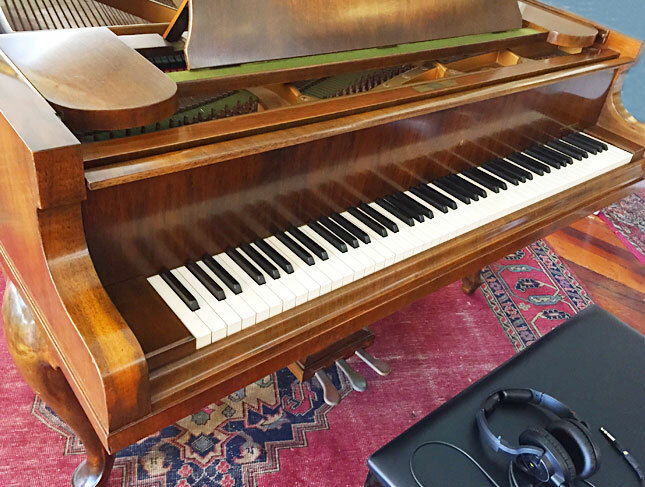 This very special instrument is a must-have for anyone performing or recording serious grand piano tracks. 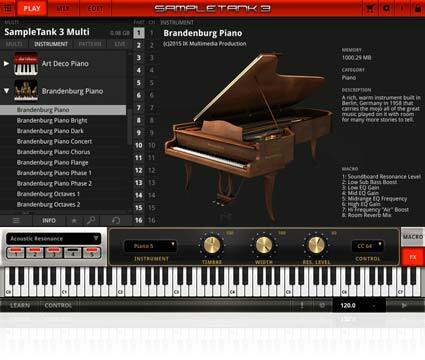 It also includes a model of the actual recorded piano’s soundboard (Piano 5) for SampleTank's Acoustic Resonance effect. 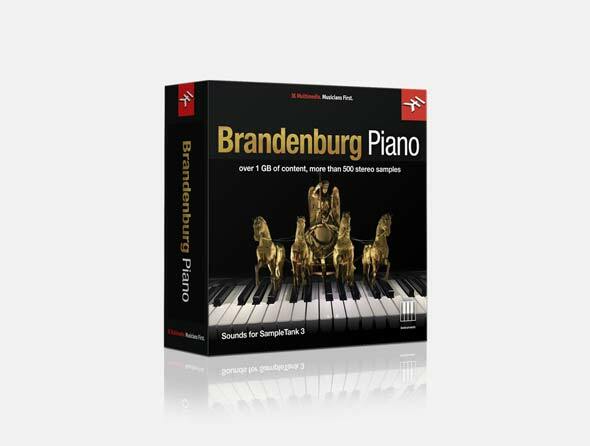 With Brandenburg Piano, you can finally have the sound of one of the true German greats along with the full convenience and sonic flexibility of SampleTank.